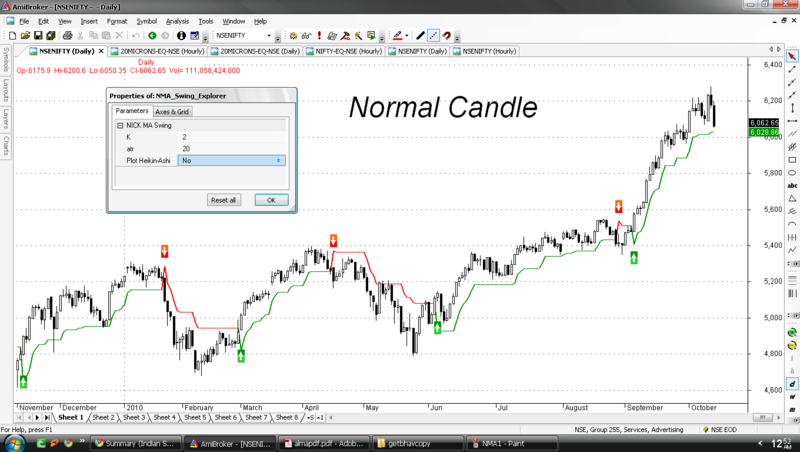 A small functionality has been added to the NMA Swing Explorer charts to switch between Heikin-Ashi Candle and Normal Candle. 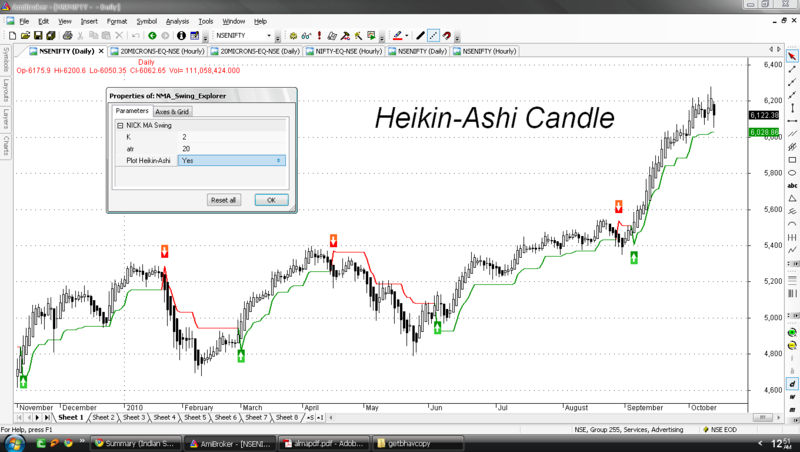 Now Just right click on the charts and select Parameter Settings from the Menu and toggle the option Plot Heikin-Ashi to either YES or NO to switch between Heikin-Ashi Candle and Normal Candle. with the parametrs setting of 2/20, your displayed chart differ from my chart.. I dunno why its not gettng solved. E.g. Your chart on 16th April — SELL Signal after that 28th May BUY Signal. My Chart on 16th April — SELL Signal then on 11th May BUY Signal & again on 17th May SELL Signal and Finally on 28th May BUY.. Appreciate your time and efforts. @ RAj — I’ve posted my comments after downloading & checking thru your AFL only..
Have send the screenshots 2 files attached in jpg format. Pls look into it and advice / comment. Did u find d flaw…?? ?